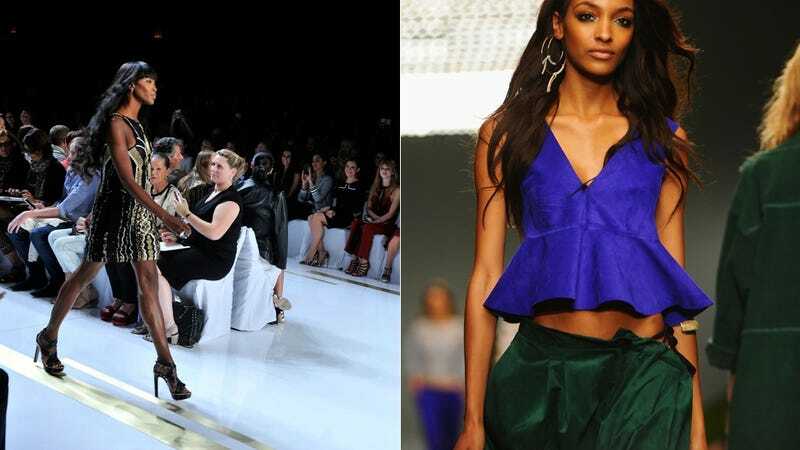 Perhaps they've been fired up by the continually low numbers of non-white faces presented during this past New York Fashion Week, but models are particularly vocal right now about the lack of diversity in the fashion world. The latest is Jourdan Dunn, who told The Guardian that it's "lazy" for fashion editors to say that they won't put black women on magazine covers because they don't sell. New York Fashion Week Was Chock-Full of White Models. Again. Speaking with Fashionista, Hardison says she's very excited about the slight increase some houses showed this past fashion week in diversity, though she thinks the real test will be the next fall/winter season. “In spring/summer you always include a little bit more [people of color]. Because you’re casting for a girl with a little bit more color," she said. She also added that she thinks it'll be the international shows that have a harder time diversifying than in the United States, because "in Milan, you don't see black people."